3M no longer manufactures the BP-15 battery or BC-210 battery charger for the 3M Breathe-Easy System Assemblies. 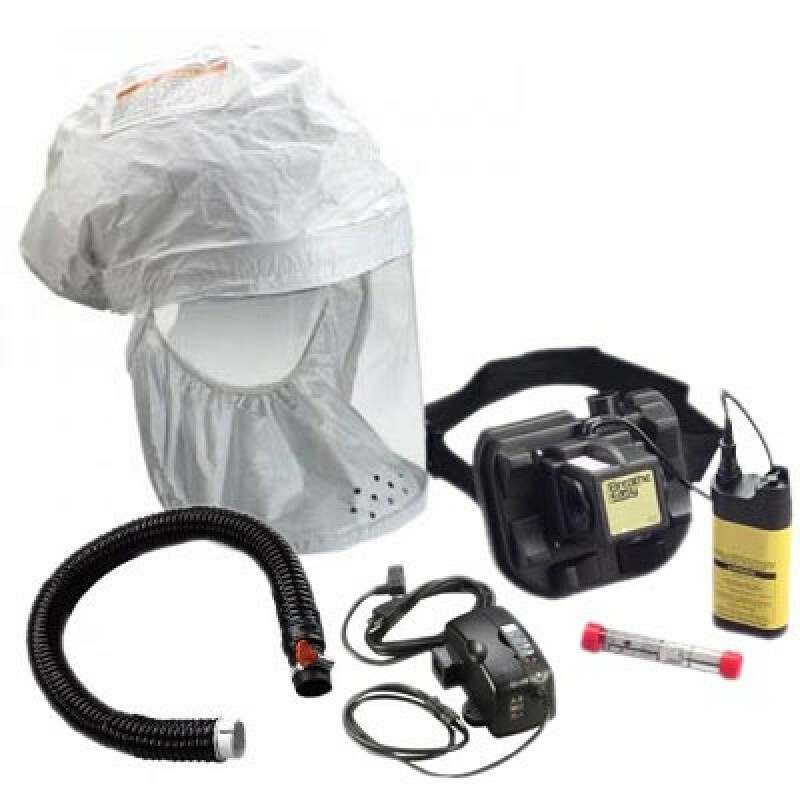 You can still purchase the rest of the system, however we recommend upgrading to the 3M™ Versaflo™ Easy Clean PAPR Kit TR-300-ECK or 3M™ Versaflo™ Easy Clean PAPR Kit TR-600-ECK. Contact our Customer Service for further details. DUE TO DISCONTINUATION FROM THE MANUFACTURER, THIS KIT DOES NOT SHIP WITH THE BP-15 BATTERY OR BC-210 SMART BATTERY CHARGER. 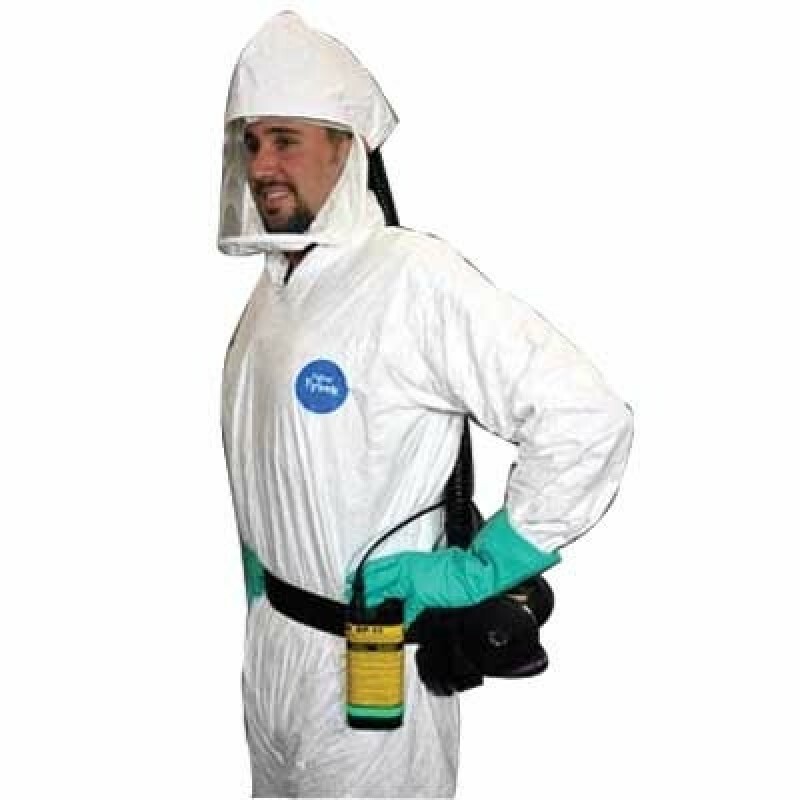 We recommend upgrading to: 3M™ Versaflo™ Easy Clean PAPR Kit TR-300-ECK or 3M™ Versaflo™ Easy Clean PAPR Kit TR-600-ECK. Contact our Customer Service for further details. The 3M Breathe-Easy 12 PAPR system provides comfortable, efficient powered air protection. It uses interchangeable filters, cartridges and canisters to protect the wearer against dust, mist, fumes, gases, vapors and/or particulates. The Breathe-Easy Turbo motor blower unit draws ambient air through a filter/cartridge/canister and supplies filtered air through the breathing tube to the headpiece. The BE 12 headpiece accommodates facial hair and glasses; and, it's polycoated Tyvek offers added skin protection. Recharged batteries provide up to 8 hour performance. 3M Breathe Easy Cartridges must be purchased separately. Eliminates fatigue caused from the effort of inhaling through filters. Filters are available for a wide range of protection against gases, vapors and/or particles. Uses a rechargeable eight hour Nickel Metal Hydride (NiMH) battery. Accommodates facial hair* and personal glasses. Easy to maintain for reduced costs. New 3M Smart Battery Charger BC-2100 included! *Facial hair must not interfere with the seal between the face seal and the face.